Legal barriers for Google’s monumental book-scanning project have been removed in the United States, but the initiative remains controversial and would likely run afoul of European [corrected] copyright law, legal experts say. Despite the US Supreme Court’s decision in April not to hear an appeal in the case against Google’s book-scanning initiative, Google’s publication of parts of over 20 million books for its search engine continues to stoke the ire of writers groups and other parties. 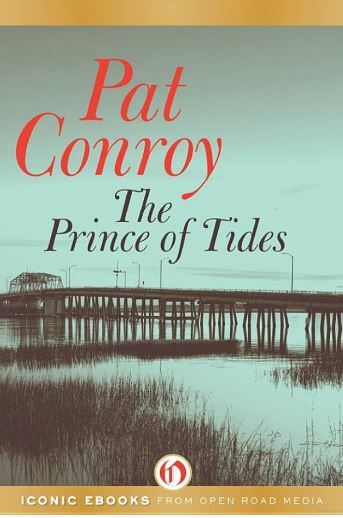 Google Books offers free online access to several chapters of Pat Conroy’s “The Prince of Tides,” one of over 20 million books Google has scanned. Source: Google Inc.
A main point of contention of the US-based Authors Guild, which was one of the original plaintiffs in the first lawsuit against Google over a decade ago, is that Google profits from the program without properly compensating the authors. “The denial of review is further proof that we’re witnessing a vast redistribution of wealth from the creative sector to the tech sector, not only with books, but across the spectrum of the arts,” Roxana Robinson, president of the Authors Guild, said in a statement. Google began scanning millions of books from major libraries and institutions without copyright holders’ permission over 10 years ago. The Authors Guild and the Association of American Publishers claimed in its original lawsuit that Google Books, which represents the world’s most ambitious book-scanning project to date, violated copyright laws and other related protections. Under the terms of the October 2008 settlement with the Association of American Publishers, Google agreed to pay $125 million and to compensate right holders 63 percent of revenues earned on sales of millions of books it has scanned as part of the commercial venture. However, the Authors Guild continued to file suits until the case worked its way up through the courts and ended with the Supreme Court’s decision not to hear the case in April. Proponents say that Google Books helps authors since potential book buyers can discover published texts by instantly accessing information about them around the world with an Internet connection. Many of the titles are out of print, and thanks to Google, can interest potential readers to buy the book while protecting the authors’ copyright ownership, proponents say. Unlike the controversial lawsuits that the world’s largest media groups initiated against alleged individual digital file sharers for copyright infringement, Google, as one of the largest companies worldwide in market value, is the financially powerful defendant accused of illegally sharing copyright-protected content. However, some say that in the case of Google Books, that it is the Authors Guild, which is albeit less financially about to fund costly legal fees, that should instead embrace new ways of digital distribution that help to promote creativity instead of resorting to litigation to maintain control over copyright-protected books. However, instead of helping authors, opponents claim that the availability of the books online could lower sales of the scanned books, with up to 20 percent of some books’ content made available. Some potential buyers could be inclined to find specific information they seek by using Google Book’s search online without having to pay for the book. A critical legal issue is the definition of “fair use” under US copyright law and how it balances the public benefit of copyright holders versus the overall public good. The US circuit court that heard the last case against Google determined that Google’s booking-scanning project benefited the general public in a way that met the criteria of fair use. However, Google Books would very likely face legal hurdles if it attempted to scan books and publish parts of them online outside of the United States. In a European Union country, for example, Google would face a greater legal burden to convince courts that its book-scanning project would not run counter to copyright law. At best, Google’s hopes to prevail would remain murky at best, although the law could change, Maubert said. Proposals were made last year by Member of European Parliament Julia Reda, for example, to update the statutes that the EC first mandated in 2001, which could have leaned more in favour of a project such as Google Books. However, her proposals were not adopted. “Reda was in favour of liberalizing the exceptions to copyright monopoly but her recommendations were amended because she had gone too far in authors’ minds,” Maubert said. There are thus still few exceptions to legally mandated copyright protection that would allow Google to add books from European libraries and institutions to Google Books, “even though the EC has loosened its interpretation a bit,” Maubert said. Bruce Gain may be reached at info@ip-watch.ch. "Google’s Book Scan Project Still Under Fire Despite Legal Victory" by Intellectual Property Watch is licensed under a Creative Commons Attribution-NonCommercial-ShareAlike 4.0 International License. So maybe it is time for Congress to review the 1976 decision Congress took in their Fair Use Section 107 and the whole notion of transformation as proffered by Justice Leval. There will be upcoming hearings on amending the US Copyright Act Section 121 for purposes of ratifying the WIPO Marrakesh Treaty. However, once hearings are being held to amend one section of the the Copyright Act, ALL Sections of the Copyright Act are then put in play.